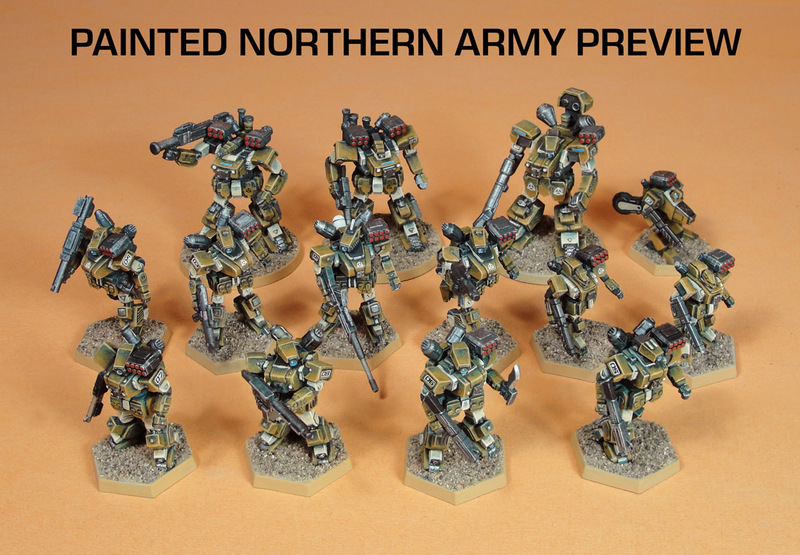 Dream Pod 9: Kickstarter Update: Painted Northern Army Preview! Our staff sculptor/painter, Philippe F. LeClerc finished painting up the Northern Army and adding logos and numbering decals. We took some photos of the new Northern plastic miniatures all painted up, check them out below to see how they turned out. Plastic Injection Molds Update: The molds arrive at our plastics manufacturer in the USA today (Monday, June 20th, 2016). They will be un-boxed and cleaned before going into production later this week. International Backers Update: We are busy this week calculating all the international Backer shipping cost. We are just waiting on our forwarder in the UK that will handle all our UK and EU Backers reward packages to get back to us in the next week with the UK Royal Mail costs. Then we'll send out requests via the Pledge Manager to all our International Backers that still have shipping costs to pay. Other news our friends over at Terraforms Terrain are in now in the final week of their Kickstarter for 10mm/12mm scale resin terrain. They were successfully funded within the first 24 hours and have gone on to unlock all their planned stretch goals. Their Kickstarter ends this Friday at 9pm EST, if your interested in picking up some nice resin terrain thats in scale with the Heavy Gear miniatures go check them out at the following link. 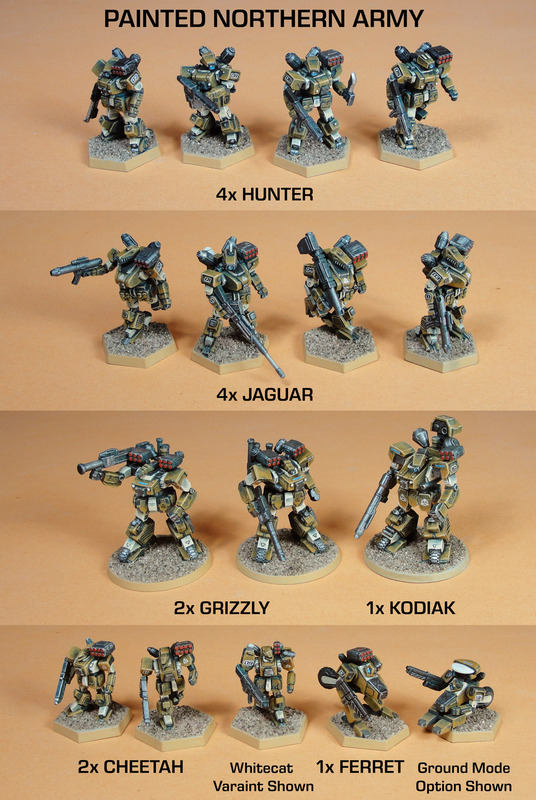 Home › Blogs › Robert Dubois's blog › Kickstarter Update: Painted Northern Army Preview!